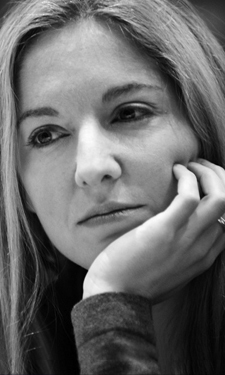 Victoria Coren Mitchell - Blog - Join The London Poker Festival? Join The London Poker Festival? Hello. I’m writing this just after midnight on Thursday; I’m going to try and get an early night, because today was INSANE. I had a long day’s poker on Wednesday, day 1 of the London EPT. I had a super-tough table with two fellow EPT winners, an English Poker Open winner and a series of internet geniuses, and was very relieved to survive the day with 80,000 in chips. I think the average going back will be about 65,000. I seriously considered going home at the dinner break. Going for the night, I mean. I had 85,000 in chips, a scary line-up of opponents and an early start the next morning. I calculated that if I left for the day I would get blinded down to about 65-70,000 (still above average), would get a proper night’s sleep and no risk that I’d lose all my chips on this much-tougher-than-average table. Obviously I didn’t go home. I might double up if I stayed! After a nice dinner in the Vic, back I went to play. I was ruing this decision within an hour; after a series of horrible pots, my chips went down to 20,000. Luckily, my form improved again and I got the stack back up; I feel like I played very well over the course of the day, and was very pleased to end up with more chips than I’d have had if I left at dinner! Nevertheless, it was a tough Thursday. I managed about four hours’ sleep before I had to be up for The Wright Stuff on Channel 5, talking about the poker festival, followed by five hours of poker press. After that, I rushed home to get my notebook and tape recorder, then headed off to interview Miranda Hart for the Radio Times. This is not, I suspect, how Phil Ivey spent his day off. In fact I know it isn’t - Miranda would surely have mentioned it if he’d been there? But I have the tired satisfaction of a day well spent; Miranda Hart was fantastic and I’m looking forward to writing the piece. For now, my other job is out of my head and I’ll be going back in the morning to continue my quest to be the first person to have a double-EPT win. Anyone can drop by to watch the tournament, which is taking place here - I’m not doing a formal book signing this year, but if you have a copy of For Richer, For Poorer that you’d like to get signed, you will find me in the tournament room on Friday, Saturday and Sunday between about midday and 12.30. There are no guarantees after that because obviously I can be knocked out at any time - but I’ll be playing the main event on Friday and (if knocked out of that) the High Roller on Saturday and the Heads Up on Sunday. So I’ll always be starting at 12 and may be there all day; you never know. Obviously I can’t have long chats when I’m playing but do come by with a book if you’d like it signed. Or why not PLAY SOMETHING? The full schedule of events is here; I would recommend the charity tournament, which costs £120 plus up to four £110 rebuys if you lose your chips (£10 from each buy-in will go to Cancer Research and the total amount raised will be doubled by PokerStars). It’s an opportunity to play an event in the London Festival for relatively small money (but a guaranteed prize pool of £100,000) and, of course, a very good cause. You can come to the Metropole and buy in directly there (ask at the welcome desk on the ground floor, or at the entrance to the tournament room on the third floor). You can choose to play either Saturday or Sunday (midday start time on each day) but you would need to be available on Monday in case you get through to the second and final day. There is also a Ladies Only event this weekend with a £500 buy-in - that starts at 3pm on Saturday and is completed on Sunday - with a £100 satellite for that on Friday night at 7pm. (If you’re not familiar with satellites, that means a tournament which costs £100 play and you can’t win money but you CAN win a cheap ticket into the main Ladies’ tournament for a fifth of its full price). Again you can buy in either for the main tournament or the satellite directly at the Metropole. So, maybe I’ll see you down there. If not…. think lucky thoughts, and if you’re curious I’ll be posting occasional updates on Twitter. Do your bit to promote poker don’t you? Does it compensate well (the endorsement)? You helped legitimise another vice with that book “Once More, with Feeling” too didn’t you? KJ - the idea of a ladies only tournament is to make a friendly environment for women who want to play poker but might feel intimidated by the male-dominated atmosphere. I used to be rather against them, but I wrote an article about it and changed my mind after lots of women got in touch to explain why they enjoyed all-female events and just found them more fun and less nerve-wracking. I still don’t really play them myself because I like competing against an open field, but I do now understand why it’s nice to have them. Poker’s really changed - it’s a much younger, more light-hearted, more respectable pastime these days, with a broader range of players, and I think in five years there probably won’t be ladies-only tournaments because they won’t be needed. For now, though, the live game is still quite male-heavy and these events are a bit of fun for players’ wives and girlfriends, or newer female players who still feel a bit shy about going head-to-head against men. NbN, I’m guessing you haven’t read either of my books. When I do something, it doesn’t feel “naughty” at all. I’m far too square. Don’t panic too much about people playing poker, it’s only a game. It’s not a “vice”. Obviously some people spend too much money on it, but the same applies to buying shoes or going fishing. Most people who are playing poker these days are just playing £10 tournaments in their local casino, or home games with friends, or online for a few quid a week. The world’s fine. Not sure how this would work, but would love to see you host a poker version of ‘Call My Bluff’. You have your late father’s great style and wit - entertaining, droll, humane, sometimes mordant but never hurtful. Poker needs such a voice and player. Best of luck with the tourney. Sorry to read the bad news. Have a sip of apple juice, get impregnated by a foreign multimillionaire, replace that doorbell, create another branch of the Coren dynasty, eat salmon canapés by the fireside and spend your days worrying about the bins and waste collection. I have a (most likely dumb) question - London EPT ‘06 final. Why did you stand after you called? I don’t know what was more humorous - How quickly you did it or the look on on Emad’s face. Bless ‘im. Hmm. I’m not entirely sure - it was instinct really. Many players stand up whenever they’re all in. I don’t do that but I suppose I do (or sometimes do) when I think somebody’s tournament is ending - mine or my opponent’s. If I’m all in, so the other player can’t be knocked out, but I know I have the best hand, I wouldn’t stand up. If one of us is all in but has the worst hand and it’s very likely to be over, I think standing up is sometimes just instinctive. Then i need to praise new photographs as well. I feel like i’d been gently slapped but it still managed to bring tears to my eyes. Sorry, can’t do any better than this =]. Nothing to do with poker but to tell you how much two old wrinklies love your Observer column and Only Connect. In our 70s, you certainly keep our grey matter stimulated. Hurray! Thanks very much Pamela, that’s such a nice message. i have this fantasy that i am a great poker player, although i have never really played for money. i want to give it a go, take part in a small tournament for small stakes. the problem is, i am not a good loser and i can see myself getting sucked in. what is the best way to start, a way that i can enjoy and not feel too bad if i lose. Hi Dionysus. If you click “poker” in tje left hand menu, then “poker advice”, you’ll find my answer there! Listen - sorry for the off-topicn [ish], but any chance you could use some of your influence as a Team PokerStars Player to lobby for some more UK-friendly online Tournament time slots? I remember you wrote a piece [Grauniad, was it?] not so long ago bemoaning the fact that everything’s a bit US-centric, and I now know what you mean. Go on, give ‘em a kick, eh?